The first ever model horse podcast! 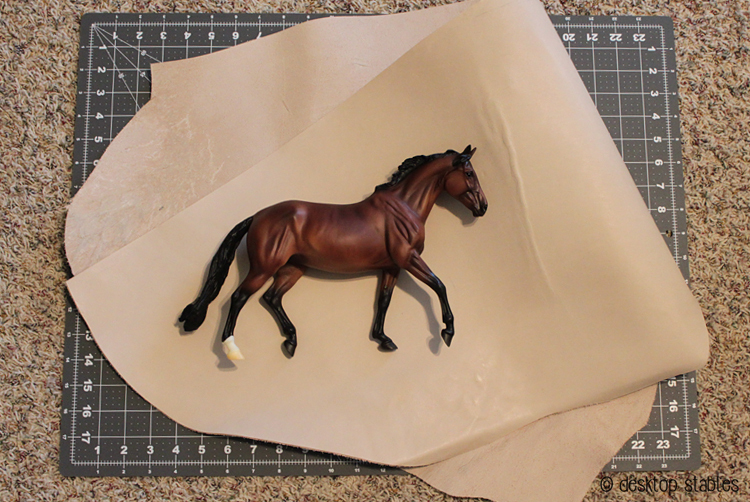 An excellent resource for Breyer collectors! Written by Susan Bensema Young – a must have for anyone interested in miniature tack making. It’s available now as a very affordable PDF – I highly recommend it! I have learned so much from what Jennifer (and others!) have shared on her blog. Definitely check them out! She has sold her pattern books online for many years, but is now branching out with video tutorials. There is a small fee for the patterns, but the videos are free. I’ve purchased spools of kangaroo lace from these guys and love it for tack making! They also sell tooling leather – the 2/3 oz calfskin is perfect for mini saddles, and a square foot (or two!) will last a long time. I haven’t personally ordered from this company, but I know many hobbyists who have and love it. Kangaroo lace in all sizes and colors, shipped from Australia. I get my halter/blanket/etc ribbon from them. It’s good quality, the prices are very fair AND they always ship fast.